Be prepared for individual and group resistance. In recent workshops with senior leadership team of building development company and a senior leadership team of a major International pharmaceutical company. Several individuals in each group disagreed with the notion that “type does not change”. It required a gentle explanation of type development and some relevant examples that raised their awareness of using a preference tool. Also coupled with using team building activities and fun communication games, we were able to allow the participants to discover for themselves how other people use different preferences and the value of this. Set the stage and complete due diligence prior to the workshops. This tip is the result of facilitating MBTI® workshops for Government departments. Communicating with teams for their input is where preparation can be done through detecting any major issues and identifying dysfunctional teams. No one wants to change, as change is challenging. The key is to adapt styles to make a difference on a team. Some basic house rules need to be agreed upon by the team for MBTI® instruments to work effectively. Everyone has natural ways of doing things. Those natural ways often differ among individuals. Everyone has the innate urge to grow and develop. Create the motivation and desire for staff to engage as change can be challenging. We teach that change is a start. It is a great idea to keep in mind that type and skill are two vastly different issues, both addressed in different manners. We work with the two middle letters to communicate with your team as they are the core of personality. By speaking and appealing to the preferences, can help motivate change. But, what are the things with profiling tools that can go wrong? The first is the interpretation of the data. Secondly the environment and mind set when answering the questions. Hence we suggest utilising successful strategies and employing a professional who can support and help your business project teams get along. Michelle Chapman is a certified specialist in MBTI supporting organisational team development and delivering high quality training workshops. Michelle is approachable, down to earth and the go-to person for professional training. over 10 years experience in delivering Human Resource guidance for Government Departments implementing cultural change. Hands on Management experience, developing Systems, Experiential staff training programs, traveling to venues and offices all over Australia. Designing team development workshops with fun real life experiences in her delivery technique. Talk to our Team Development specialists about your team and we’re ready to design professionally facilitated team development activities. Team Work v’s Work Team. 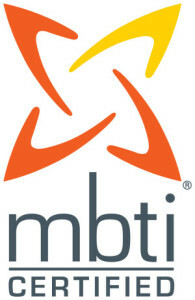 Employ Michelle Chapman to conduct and facilitate your businesses MBTI personality profiling programs. Her skills and learning experiences as a HR manager facilitating change for one of the toughest employers in the Australian government. Ensures Michelle is a great asset for your team to cope more effectively in times of employees cultural and business change. increase business productivity by contacting Michelle Chapman on Phone: 02 9630 2222. Or complete the enquiry form below for an obligation free personality profile MBTI team quote.